Ford County. The heart of the American deep South. A place of harsh beauty, of broken dreams and final wishes. 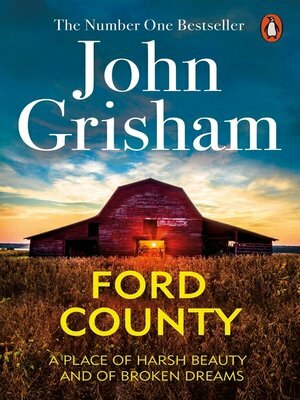 From legendary legal thriller author John Grisham comes a unique collection of stories connected by the life and crimes of Ford County. From a hard-drinking, downtrodden divorce lawyer looking for pay-dirt, to a manipulative death row inmate with one last plea, Ford County features a vivid cast of attorneys, crooks, hustlers, and convicts. From their stories emerges a rich picture of lives lived and lost in Mississippi. Completely gripping, frequently moving and always entertaining, Ford County brims with the same page-turning quality and heart-stopping drama of his previous bestsellers.